In this paper, the results of a study on lipid fraction from goji berries are reported. A rapid and simple method based on magnetic stirring with chloroform/methanol mixture and final clean-up with deionized water was developed, which avoided the presence of polar substances in the final extract. The proposed method was compared with conventional (Folch and Soxhlet methods) and unconventional (hexane/2-propanol or methyl-tert-butyl ether extraction) procedures. 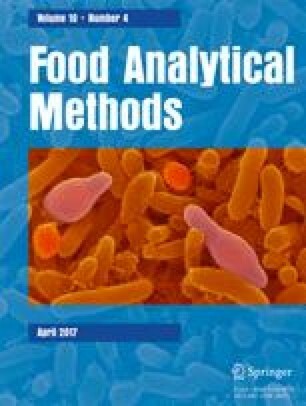 Sixteen commercial goji samples have been extracted by the developed method; then, the fatty acid composition was determined by high-resolution gas chromatography-flame ionization detector (HRGC-FID) analysis of derivatized samples. Generally, the results obtained underlined the important role of goji berry as a natural source of unsaturated fatty acids (78.0–86.0 %) with a high content of n-6 polyunsaturated fatty acids (PUFA, 48.2–60.2 %), a satisfactory n-6/n-3 PUFA ratio, and a good PUFA/saturated fatty acid ratio. Francesca Blasi declares that she has no conflict of interest. Domenico Montesano declares that he has no conflict of interest. Maria Stella Simonetti declares that she has no conflict of interest. Lina Cossignani declares that she has no conflict of interest.